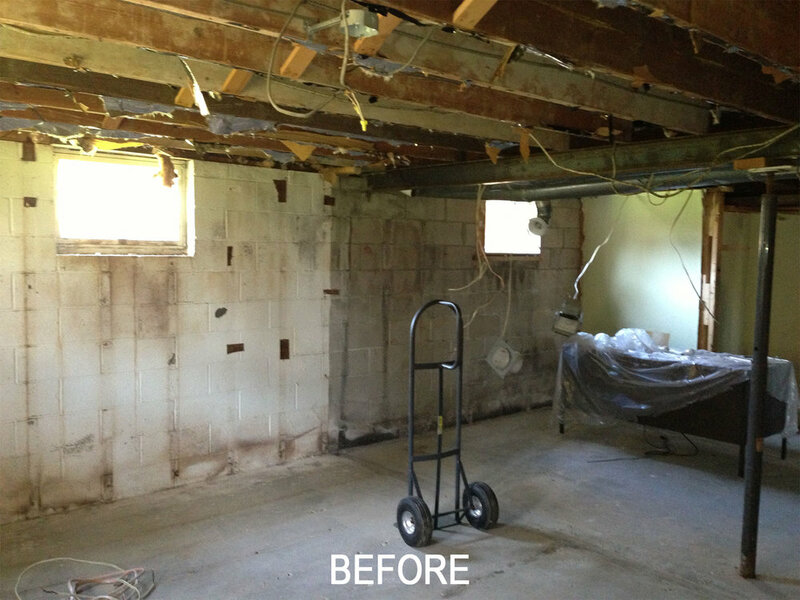 This was a simple but somewhat challenging basement remodeling project for two retired Cornell faculty members. The space was intended to accommodate many of their files from the former campus offices and also create more space for the two retirees who would be spending much more time at home and really wanted to stay in Ithaca. 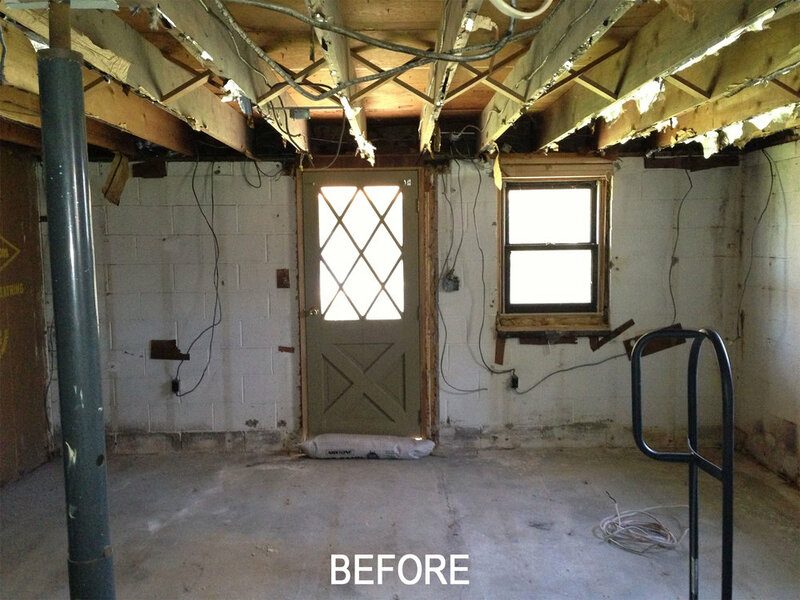 They felt it would be better to invest in their existing home rather than start fresh. 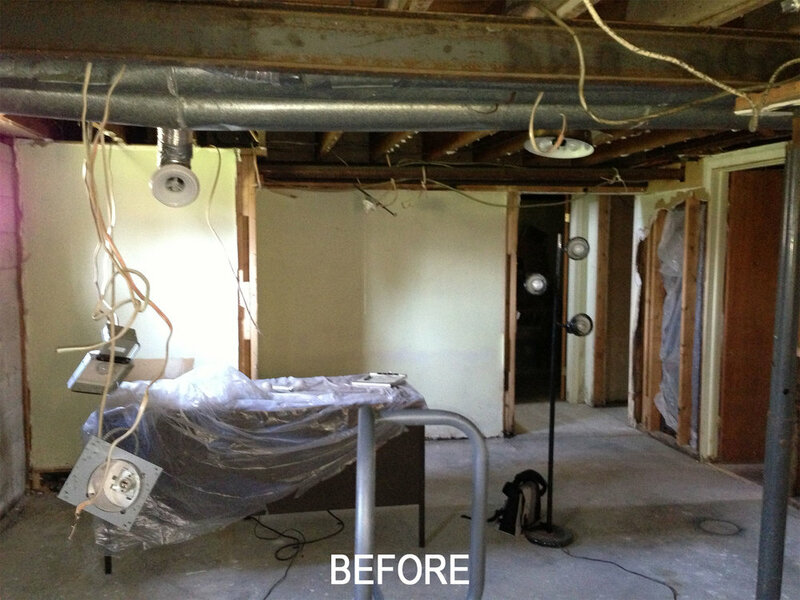 In many ways though we were able to create an exciting and fresh space in what was previously the damp and cluttered basement of the mid-century split level ranch. We added new enlarged windows and carefully located space dividers to conceal structure and HVAC equipment.